Kre-Alkalyn is the best way to enhance your ATP levels and see how your muscles get bigger every day. It does not require loading phase or cycles. It does not produce swelling or water retention. Great bioavailability. 100% of the creatine goes directly to the muscle tissue. Increases the energy and muscle resistance. Increased strength and muscle development. Kre-Alkalyn by All American EFX is a supplement made of creatine with a 12 pH factor, which promotes creatine stability so that it directly reaches the muscles and it does not become creatinine. Most conventional supplements contain creatine with a 6.9 pH and this can transform it into creatinine before reaching the muscle tissue. Kre-Alkalyn has a great bioavailability, it is resistant to the stomach acids and therefore reaches the muscles intact to provide more energy and endurance. 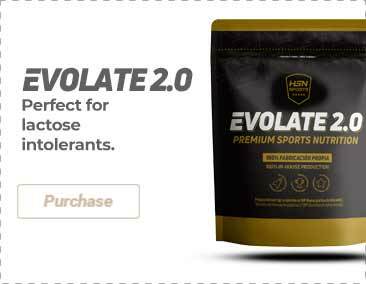 This product facilitates the transport of phosphorus compounds that are needed in protein synthesis and, since it does not stop being creatine, it can maintain the necessary ATP levels (triphosphate adenosine) in the muscle tissue. This property increases the resistance of muscle fibres during the toughest training sessions, which boosts muscle growth and strength. You just have to take 2 capsules to experience immediate results, no loading phase, no cycles nor side effects. Kre-Alkalyn EFX by All American EFX is specifically advised for those athletes who need quality creatine to help them improve their sport performance significantly. Kre-Alkalyn® (Buffered creatine monohydrate), capsule [gelatin, colors (E133 bright blue, E129 allura red AC*)], Maltodextrin, Anti-caking agent (E470b magnesium stereate). Color E129 allura red AC can have negative effects on the activity and attention of children. Take 2 capsules 30 minutes before training and another 2 capsules after training.